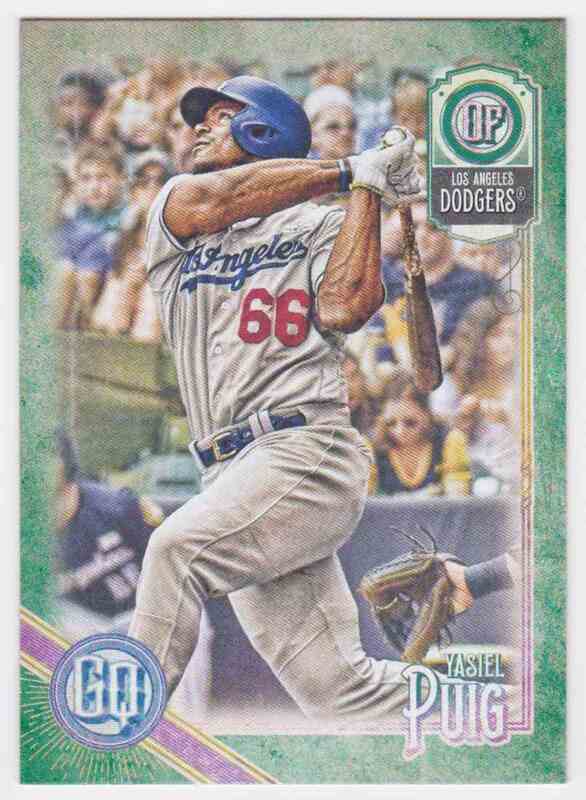 This is a Baseball trading card of Yasiel Puig, Los Angeles Dodgers. 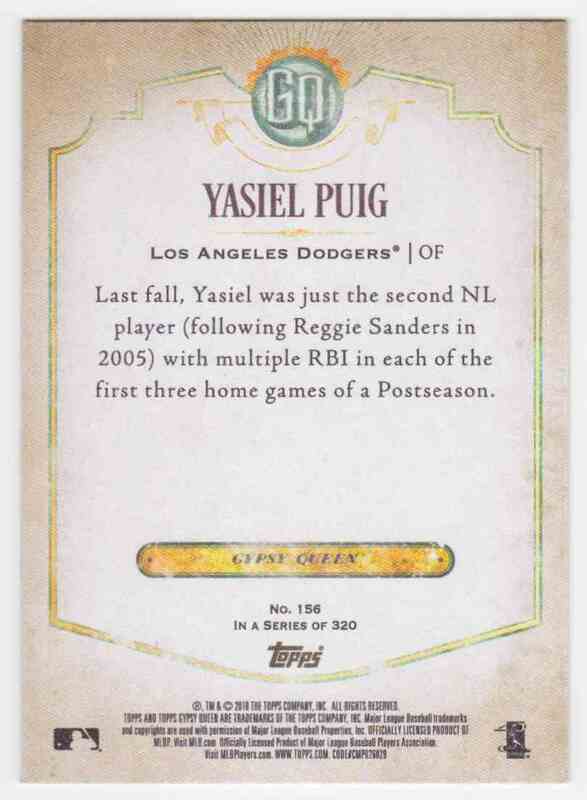 It comes from the 2018 Topps Gypsy Queen Green set, card number 156. Parallel. It is for sale at a price of $ .50. Returns accepted within 30 days. Seller pays the shipping. If you are unhappy with your purchase for any reason we offer a 30-day no questions asked return policy-return the item and we return your money (including S&H). Welcome to Petal Hobby Shop. Our focus is modern baseball and football cards at affordable prices. Base cards, inserts, game used and autographs will be added at steep discounts up to 90% off Beckett price guides. Any order no matter how small or large will be shipped securely (sleeve+toploader+teambag+packing) in a padded bubble mailer for $2.75 with delivery confirmation. If you are unhappy with your purchase for any reason we offer a 30-day no questions asked return policy-return the item and we return your money (including S&H).